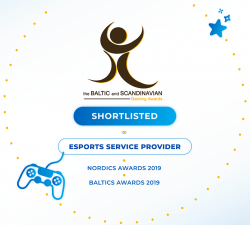 At this year’s ICE Totally Gaming, UltraPlay has marked a record-breaking success in terms of new strategic business opportunities, new markets the company is entering as well as significant interest towards the latest iGaming innovations and products presented in London. UltraPlay has showcased its expanded eSports feed ODDS.gg, which covers 25 game titles, most of them offering pre-match and in-play options, making it the leading eSports betting solution on the market right now. 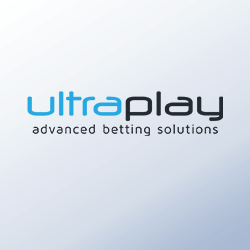 Following its mission to deliver advanced betting solutions combined with years of expertise on the sector, UltraPlay’s team has provided consultancy to all operators interested to join or expand their eSports betting portfolio and take advantage of the hottest iGaming trends of 2018. Amongst the highlighted moments from UltraPlay has definitely been the release of their own eSports betting cryptocurrency eGold. The company has recently announced that the presale of eGold has been sold out in less than 24 hours raising 500 ETH, which brought many crypto enthusiasts looking for new opportunities in the Blockchain technology on the company’s stand. Now, the team is looking forward the eGold token sale, which starts on February 18th, 2018. The token sale will end immediately after the hard cap of 5000 ETH is reached or on March 18th, 2018 – whichever of the conditions are met first.